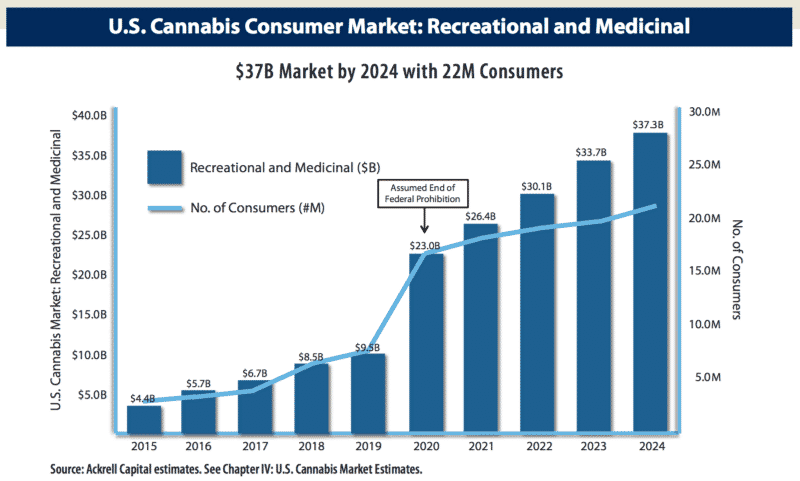 In an annual report the ArcView Group publishes, legal marijuana sales hit $5.4 Billion in 2015, up from $4.6 Billion in 2014. 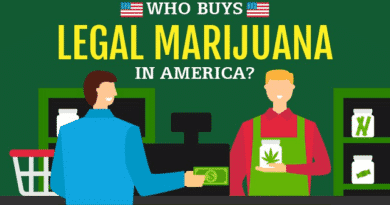 The report also predicts 2016 sales will rise to $6.7 Billion, and that it will reach $22 Billion by 2020. 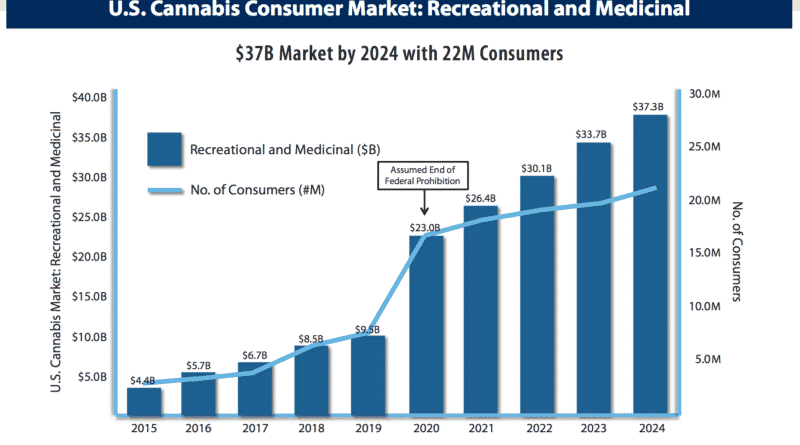 Ackrell is estimating a $9.5 Billion market by 2019, and a $37 Billion market 5 years after it becomes federally legal. Overall, they’re predicting a global $100 Billion market. 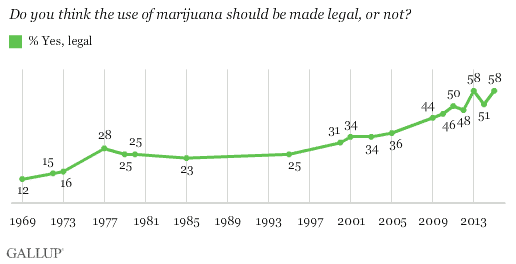 And this poll from Gallup last year on American support for legalization and regulation.